"Although Joseph Drouhin is based in Beaune and renowned for the domaine wines from the Cote d'Or, the company has been intimately associated with the Chablis region, being one of the largest landowners for four decades with nearly 40 ha of vineyards. The holdings include significant areas in grand cru and premier cru sites as well as village Chablis. 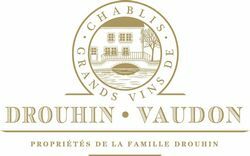 Drouhin owns and is based at the Moulin de Vaudon, a historical 18th Century watermill that straddles the Serein river, close to the grand cru vineyards, and from the 2008 vintage has labelled the wines Drouhin-Vaudon' to strengthen the association of the company with the region. Here, I review the 2012 Chablis and two 2011 premier crus. 2012 has produced elegantly rich, ripe and fruity wines with good acidity. The 2011 vintage in the region was less consistent, the wines with softer acidity and more forward in style".